My oldest son is four years old, and I still remember what I was thinking when it was time for us to go home from the hospital. I was thinking, “I can’t believe they trust me to take him home”. I didn’t know what to do with a baby and it’s not like they come with a manual! While it can seem frightening at first, you’ll get the hang of it in no time. Once you get the hang of breastfeeding, it’s time to start learning the do’s and don’ts of breast pumping. Breast milk can spoil and it can go bad if collected improperly, so there are a couple things you want to keep in mind. If you’re a stay at home mom, it will be nice to have some extra milk for when you want to go on a date night or even want a late night run to target. If you’re going back to work, you need to pump in order to leave milk with the babysitter. 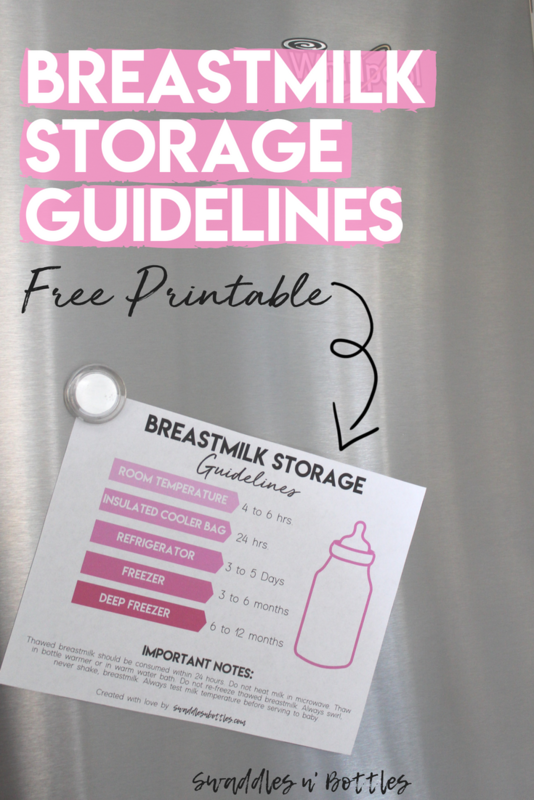 Here are some expressed milk basics to make sure you know how to properly collect, store and thaw pumped breastmilk. For the first couple of weeks, the only thing you need to be doing is getting the hang of breastfeeding and bonding with your baby. Eventually, your body will get the hang of breastfeeding and you might start to see the beginning of a feeding schedule for your baby. After about two weeks, you should start pumping. The easiest way to do this is to pump for about 10-20 minutes after you breast feed your baby. You can start with just pumping after your morning feeding (since that’s when you usually have the most milk) or you can pump after each feed. Your number one goal is to make sure that your baby is getting all the milk they need. Only then do you want to start collecting extra milk. Make sure to check out our article about how to build a freezer stack of over 400 ounces of breastmilk in 30 days. How Do I Safely Collect Breast Milk? 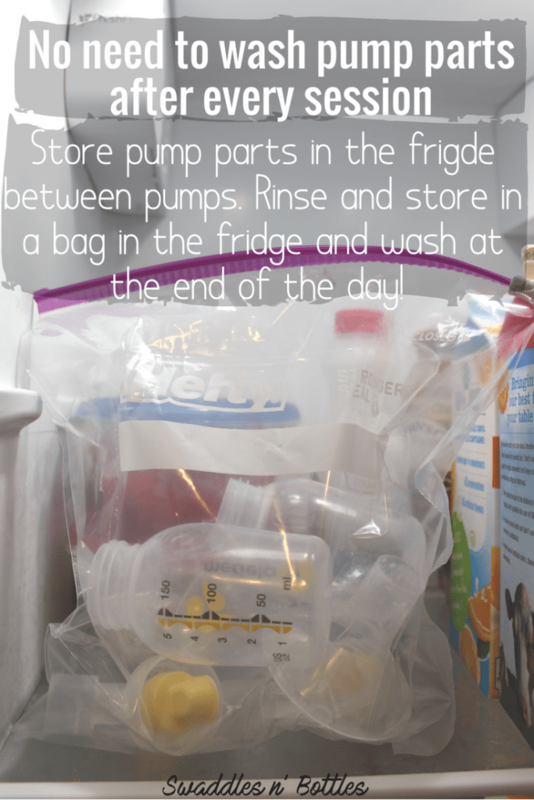 You can pump directly into the storage bags (if you get the right ones), or you can pump into bottles and transfer them into the storage bags after. I always preferred pumping into bottles and then transferring it to storage bags afterwards for a couple of reasons. First of all, bottles are much more sturdy, and I felt safer knowing the bottle wasn’t going to tip over and waste all that precious milk that I worked so hard for! Secondly, I liked to store my milk in specific ounces. It is best to store your milk in smaller quantity (about 4-5 oz.). This will help the milk thaw faster than if stored in large quantities. When you’ve got a crying and hungry baby on your hands, you’ll be thankful for faster thawing times! Another thing to take note of is how to safely clean your pump parts in between pumping. You do not need to completely sterilize your parts each time you pump. If you completely rinse out your parts and store in the refrigerator in between pumping, your pump parts will be completely fine for a day. But you need to completely take them apart and sterilize them each night. There are a lot of pump parts and they can be time consuming to wash and sterilize, but it’s extremely important that it’s done properly. 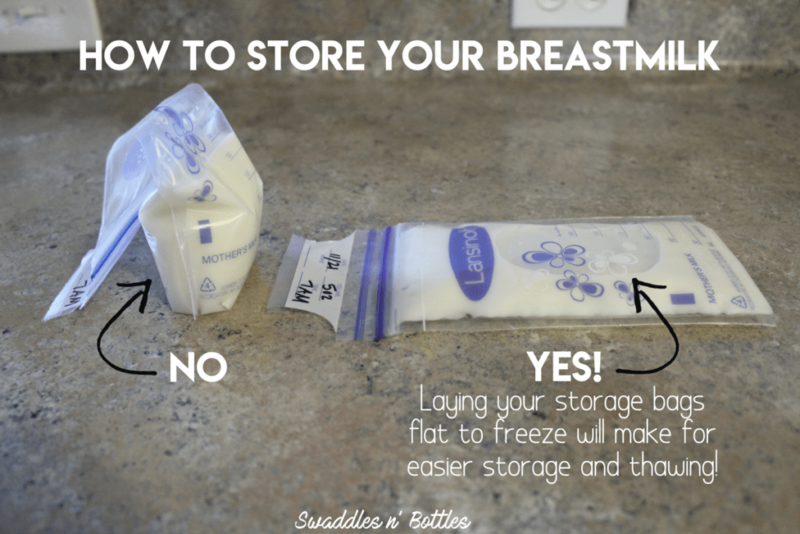 What Is The Best Way To Store Breast Milk? If you are pumping milk for the babysitter that night or for work the next day, it’s fine to just leave your milk in the refrigerator. If you want to start getting a stash of milk, you can pop your bags right into the freezer. There are a few tips that will make your life much easier. Make sure to label each bag with the date and the number of ounces. Make sure to leave about an inch of space to the top of the bag. When the milk freezes it expands, and you don’t want your bag to burst and waste your milk! I’ve included some storage time guidelines to make it easier. Always lay the breastmilk bags flat when freezing. This will not only make for easier storage, but thawing as well. We’ve created this easy reference guide for you to keep in your kitchen to help ensure you are storing for proper lengths of time! Enter your email and we will send you a PDF copy, ready to print! Check your inbox! The printable is on its way! How Do I Thaw My Breast Milk? If you need milk sooner, you can always thaw it in warm water or in a bottle warmer. We suggest the Kiindi Kozii Bottle warmer. Do not microwave the milk. Also, be sure to check out our complete guide to bottle feeding a breastfed baby here. While it might seem complicated, this will be second nature to you in no time. Enjoy time with your little one—it goes too fast!